NEW YORK, Nov. 29, 2018 (GLOBE NEWSWIRE) — Mobiquity Technologies (OTCQB: MOBQ), a leader in advertising technology and mobile location data intelligence, announced Brian Stoller has joined their Executive Leadership Team as CMO. Brian spent nearly two decades at WPP/GroupM’s Mindshare and Ogilvy as head of digital strategy for global clients, working in both North America and Asia Pacific. As a pioneer of mobile marketing, Brian was a founder of Third Screen Media, an early mobile ad network that was acquired by AOL in 2007. 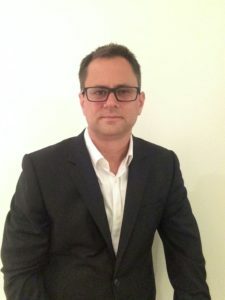 He is uniquely experienced in building brands and deploying programmatic media services. Prior to joining Mobiquity, Brian was executive director of performance media at IBM, where he brought traditional agency-led capabilities in-house, improving performance and increasing media efficiencies. Mobiquity Technologies, Inc. (OTCQB: MOBQ), is a mobile first, next generation, Software-as-a-Service (SaaS) platform for data and advertising. The Company provides precise mobile location data and insights on consumer’s real-world behavior on a single platform that’s easy to use and includes all the necessary features and tools required to run a successful mobile ad campaign. Our goal is to help advertisers deliver the right message to the right person at the right time more efficiently and effectively than ever before. Advangelists is a team of veterans from the tech ecosystem, uniting experiences in ad tech, programmatic solutions, automation, NLP, machine learning, motion-based technology, rich media and mobile video technologies. Advangelists believes that advertising should be an amalgamation of great features, great usability and have all the tools needed in one single platform. The Advangelists’ Advantage is that all of its tech is proprietary, built in house and is highly cost effective.